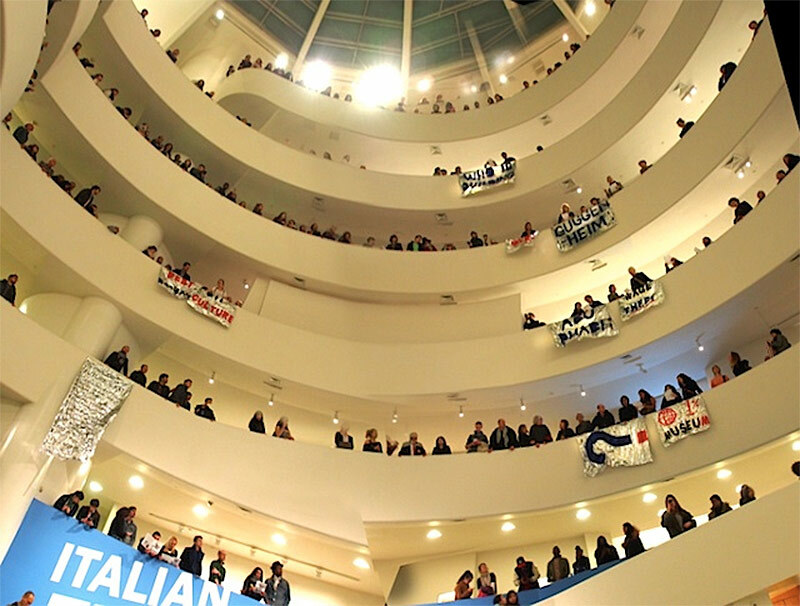 Nearly 50 activists recently took over the Guggenheim’s spiraling balconies to protest the museum’s planned branch in Abu Dhabi. The protesters, who are affiliated with Gulf Labor and Occupy Museums, dropped pamphlets, rolled out banners, and hung a manifesto to criticize Abu Dhabi’s poor record on workers’ rights. The Frank Gehry–designed museum will rise off the coast of Abu Dhabi on Saadiyat Island, near new works by Jean Nouvel, Zaha Hadid, and Norman Foster. 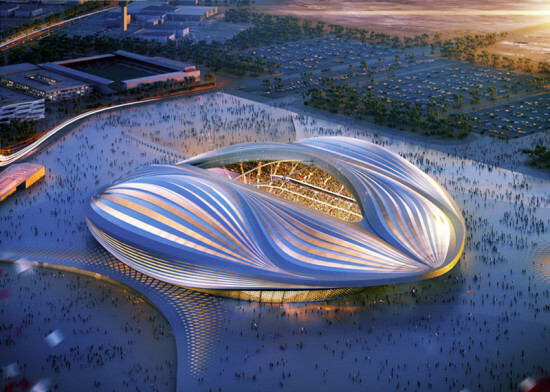 Zaha Hadid kicked up further criticism for her insensitive-seeming remarks in the Guardian, where she dismissed responsibility for worker safety on a stadium construction site in Qatar: “I have nothing to do with the workers. I think that’s an issue the government—if there’s a problem—should pick up. Hopefully, these things will be resolved.” She previously sparked criticism for her comments on building under dictators in Syria.